Lynn founded the scholarship with her husband, Dr. Jesse Ketterman, whose families are united in a love of music. Lynn’s grandfather was an organist, as was her mother. Her father played several instruments. Her brother plays bass guitar. 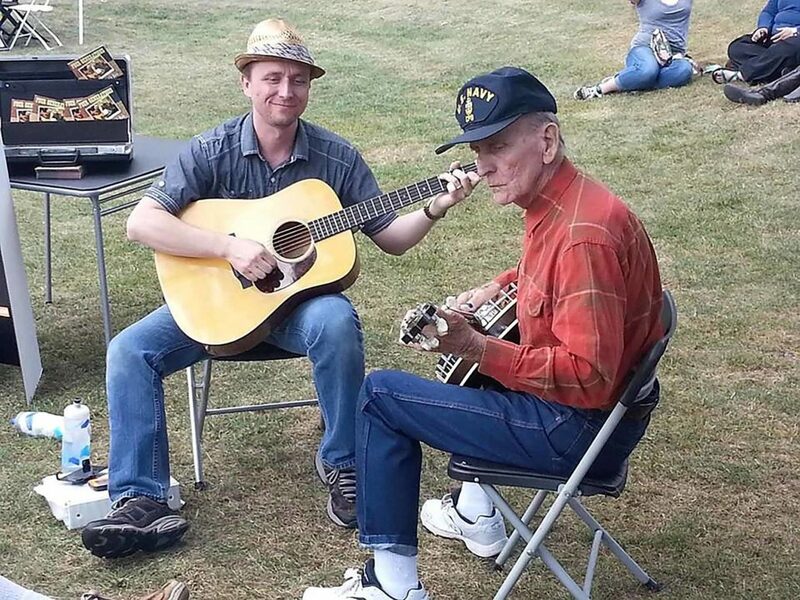 Jesse and his Uncle Billy play banjo, and they regularly entertain patients at a nearby nursing home. Ketterman family reunions even feature a family band. That shared love of music helped guide the award criteria, but the Kettermans also drew inspiration from the FSU student who taught Jesse to play banjo more than a decade ago. “I want to help the student like Frankie Revell,” Lynn said. Revell earned his degree in communications in 2005 and now works as the pastor at LaVale United Methodist Church, but music remains a major part of his life. 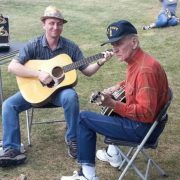 An eight-time Maryland State Banjo Champion, Revell learned traditional Appalachian styles from his father and grandfather, passed down through the generations. Yet when he first enrolled at FSU, his grandfather had just passed away, and Revell wasn’t sure if he still wanted to play after losing that inspiration. When he saw an announcement for a talent contest a couple of weeks into the semester, Revell fetched his trusty banjo. The banjo helped him win the contest, but the surprise came when he saw how it helped him connect with others. The music also kept him connected to his own family. For many years, Revell played with his father, Fred, and Uncle Junior as the Lickety Split Banjo Boys. About five years ago, however, Revell’s father was stricken with Alzheimer’s disease, which quickly began eroding his memory, but not his musical ability. That’s part of the power of music. The Kettermans understand that music is important to many Frostburg students, and they hope the scholarship will reinforce its value as a life skill. In Revell’s estimation, beyond helping students avoid debt, the award will do just that. The first Buckheit-Ketterman Family Scholarship will be awarded in the fall of 2018. Recipients will even get an opportunity to show off their talents – they also receive a standing invitation to play the annual Ketterman family reunion. For more information about supporting scholarships at FSU, call 301-687-4161 or visit www.frostburg.edu/foundation/ways-to-give.